Wouldn’t it be nice if you could keep your whole life totally organized in just one convenient spot? Ready to get organized? Now’s your chance. You want your life to be simple. Organized. Productive. And yet…. Something always seems to get in the way. You missed an appointment. Were late to pay a bill. Forgot to thaw something out for dinner. Wouldn’t it be nice if your day (week, month, life) was more manageable? Balancing motherhood doesn’t have to be overwhelming. Let’s take control! You can have clean floors, balance your budget, and get dinner on the table! Start today with the Organized Motherhood Home Binder. Hi, I’m Alison, a former project manager turned stay-at-home-mom. This binder has been a long time in the making. When I was working, I had my act together. And then…. My life fell apart when I became a mom. 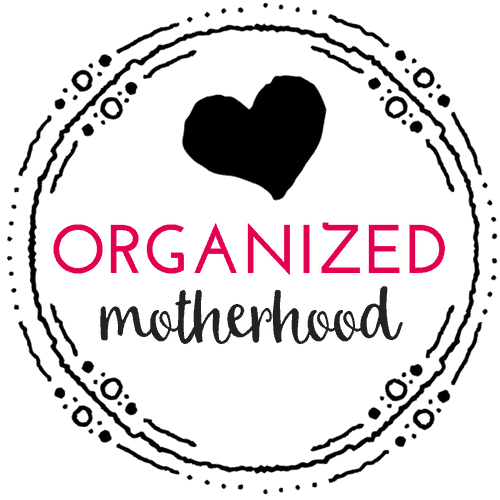 After always forgetting everything… and being late… and feeling like I would never get it together… I created the Organized Motherhood Home Binder. It’s a place to store everything you need so you can finally stop losing things, forgetting things, and feeling so distracted. Motherhood is a wonderful time (if we could just pause to enjoy it). But we can fix that! Get your Organized Motherhood Home Binder HERE. Set (and achieve) your financial goals and track (and remember to pay) your bills. 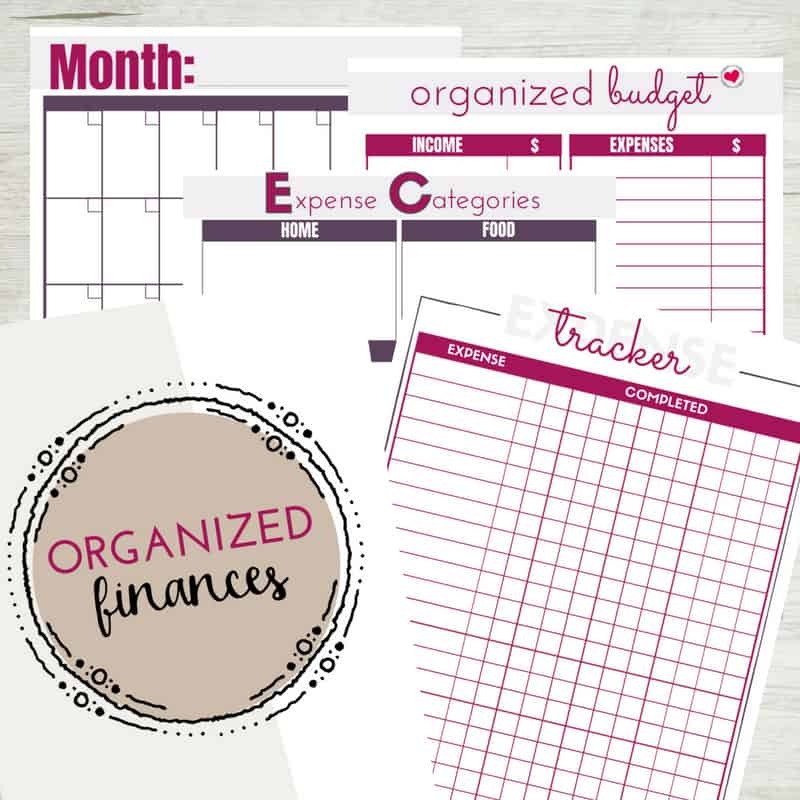 The finance section of the Organized Motherhood Home Binder is everything you need to get your budget on track. Always have your family’s health records at your fingertips. 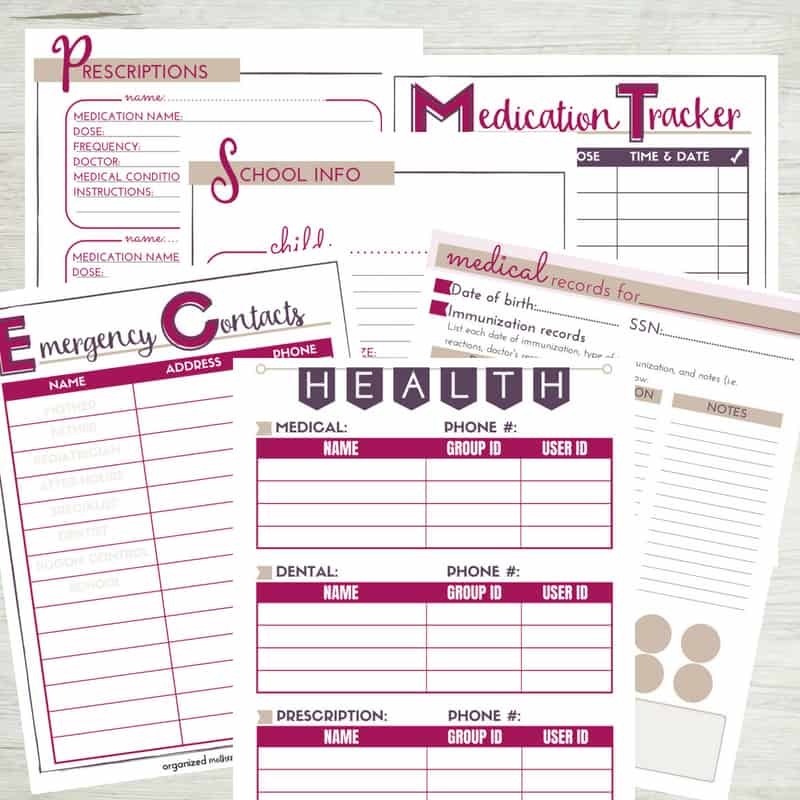 Fill out the medical section and track your family’s medications, health records, and even babysitter notes with the Organized Motherhood Home Binder. Create a simple plan for your family and your home so your home runs on autopilot. 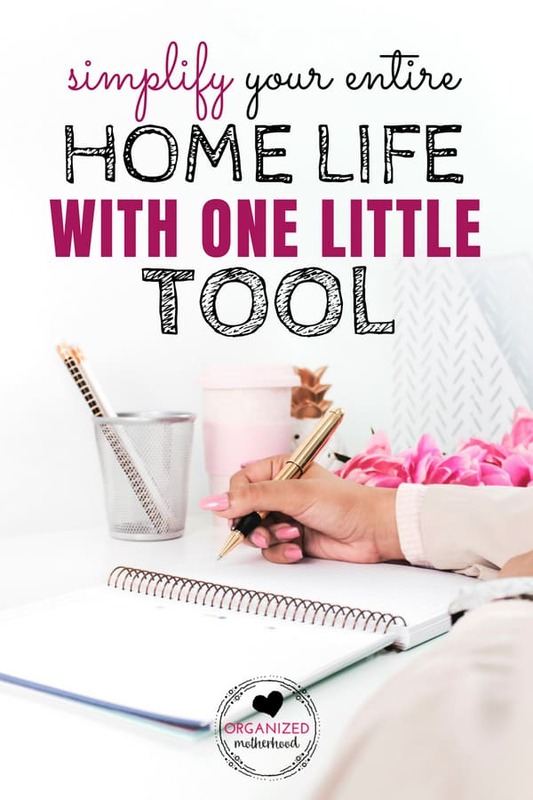 From meal plans to cleaning routines to vehicle maintenance schedules, the Organized Motherhood Home Binder is your place to record all the random information that a home requires. When will I get my binder? 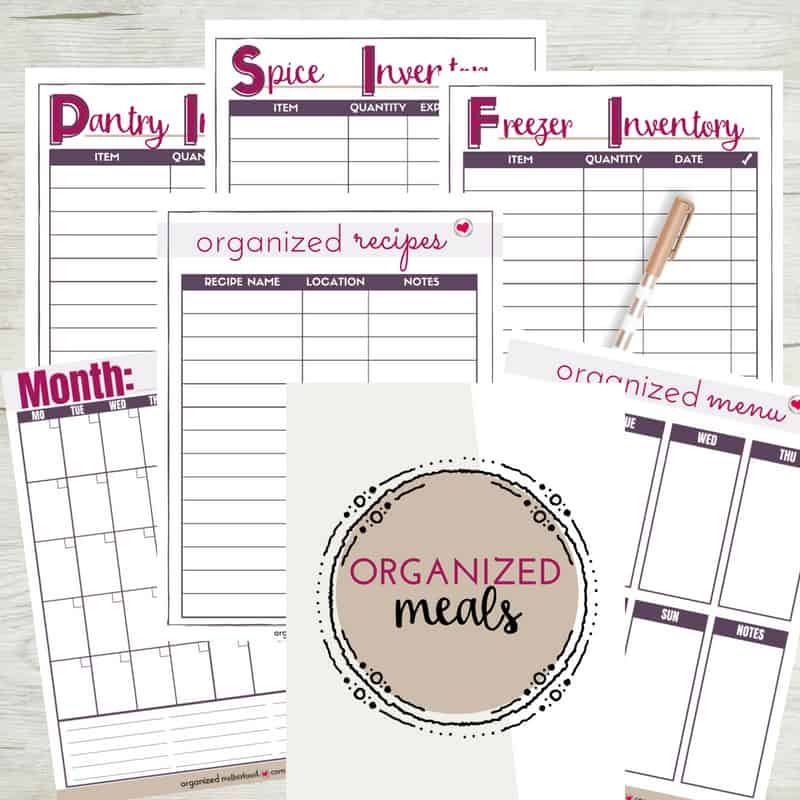 The Organized Motherhood Home Binder is a digital download. As soon as you order here, a digital copy will be emailed to you for printing. I stand behind my planner 100 percent. If you aren’t completely satisfied within the first 30 days of purchasing, send me an email to let me know why it wasn’t a good fit for you. I’ll refund your purchase, no questions asked. How do I print my binder? The binder is a full-color PDF file that prints on 8.5″ by 11″ paper. You may want to print on higher quality paper to prevent ink bleed-though, especially if you’re printing front to back. Although 20-24 lb. paper works, I had the best luck printing on 28 lb. paper. Is this a physical binder that will be mailed to me? This is a digital product only. After you order here, you’ll get an email with a PDF file to download, which you can then print at home. There is nothing to be shipped in the mail because you’ll get immediate access to the Organized Motherhood Home Binder PDF. Follow the instructions in the question above for how to print and get started using your binder right away. 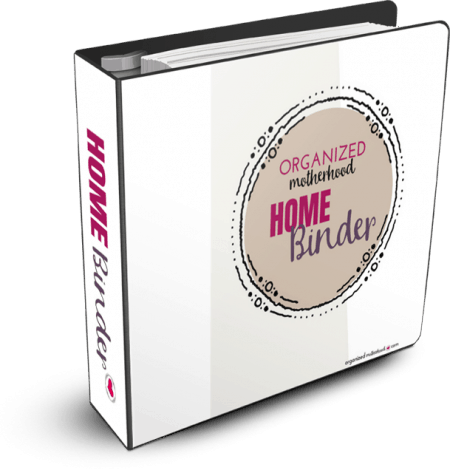 Organize your home and get your life under control with the Organized Motherhood Home Binder. 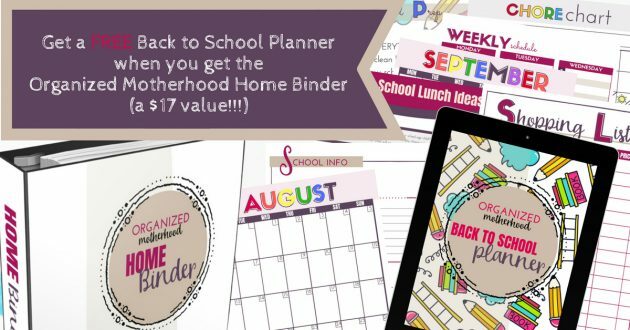 Right now, get a free copy of the Back to School Planner when you buy the Organized Motherhood Home Binder.